What is a hearing aid? How does it work? Basicly, a hearing aid increases the level of the sound, therefore causing the patient to hear the sound. Microphone gathers the sound waves which are acoustic energy and converts them into electrical signals. These signals are increased by the amplificator and transmitted to the receiver. The receiver is a transducer which converts the electrical signals back to sound waves. The signals which are converted to acoustic energy are transmitted to the patient’s ear. The patient hears this enhanced sound. A hearing aid doesn’t increase or decrease the level of your hearing loss. Hearing aid is only an assistant which makes your hearing and your life easier for you. A Digital hearing aid’s basic principal is to convert sound waves from acoustic energy to electrical signals, then process these signals at their Digital Signal Processor to catch the most natural sound and to provide a comfortable hearing. With a computer connection, digital hearing aids can also easily be fit to the patient’s specific hearing loss and specific needs. Which components does a hearing aid consists of? - Microphone: Gathers the sounds and converts them into electrical signals. - Amplificator: Increase the power of the electrical signal. - Battery: Provides the energy for the hearing aid to operate. - Receiver: Converts the electrical signals into sound waves again. 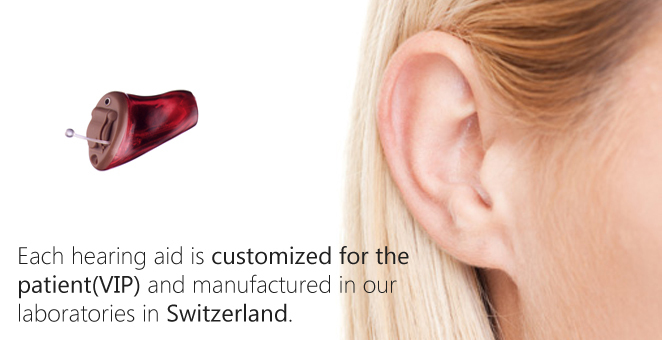 - Custom made ear mold: Binds the receiver to the ear canal. How can a hearing aid help me? A Hearing Specialist can inform you about the neccessity of a hearing aid, depending on your audiological tests. A hearing aid can be partially beneficial for patients with sensorineural hearing loss by improving the patients level of hearing and understanding. While choosing a hearing aid for the patient, the specialist takes several points to consideration like; hearing ability, understanding, casual life, physical concerns, medication, etc. Along with the specialist, you can also decide whether to use Binaural or Monaural. If it fits to your hearing loss and your budget, Binaural Usage is more efficient about balancing sounds, understanding speech in noise and detecting the source of the sound. What type of hearing aids are there? - In The Ear (ITE) hearing aids completely fill the auricle (pinna) and can be beneficial for mild to severe hearing losses. The custom made shell which protects the device components is made of acrylic material. ITE hearing aids may have additional technical mechnanisms. For example Telecoil; Telecoil is a magnetic wire which improves the transmission of the sound. ITE hearing aids may be damaged by ear-wax or ear fluid. ITE hearing aids are not advised to children; the reason is that children’s ears are continuosly growing and this causes the custom made shell to be replaced with a new one fitting exactly to the ear canal. - Behind The Ear (BTE) hearing aids are connected to the ear with an ear mold which fills the auricle completely. BTE hearing aids are worn behind the ear. The mechanism which enhance the hearing is inside the box behind the ear. Enhanced sound reaches the ear through the ear mold. BTE hearing aids can be used for mild to profound hearing losses, and for every age group. - In The Canal (ITC) hearing aids are made to fit exactly to the the size and the shape of the ear canal. ITC hearing aids can be used for mild to moderate hearing losses. - Completely In the Canal (CIC) hides in the ear canal and can’t be seen by other people. CIC hearing aids can be used for mild to moderate hearing losses. Because of its small size, additional technical mechanisms can’t be used in these hearing aids. Canal hearing aids are usually not appropriate for children. Because their ear canals are too small and their canal shape is always changing. - Body Aids are usually worn by the people who have profound hearing loss. Body aids are put inside a pocket or attached to a belt, and they are transmitting the enhanced sound to the ear by the help of a wire. Because of their large size, many kinds of signal processing mechanism can be used inside these devices. But body aids are only used where other types of hearing aids are not beneficial. Body aids are offered to the patients who need the maximum power a hearing aid can provide. - Analog/Adjustable: The hearing specialist determines the sound level and other specifications of the hearing aid that the patient needs. Afterwards, the hearing aid is customized according to these specifications in the laboratory. The specialist leaves the flexibility to allow further adjustments. - Analog/Programmable: The specialist uses a computer to upload the program to the device. The hearing aids that use analog/programmable circuits, have more than one program or adjustment. Analog/Programmable circuits can be used in every kind of hearing aids. - Digital/Programmable: The specialist uploads the program with the computer and is able to adjust the proper sound quality and response time. Digital hearing aids use a microphone, receiver, battery and a computer chip. How can a hearing aid help me? It takes time and patience to use a hearing aid efficiently. A hearing aid neither can bring your normal hearing back nor causes your hearing loss to get worse. Getting used to a hearing aid is a long term process, this process includes some stages like; learning to hear environmental sounds, getting used to hear different sounds, etc. To get used to a hearing aid, you should first wear it in a comfortable environment for several hours. There are different exercise programs for the patients to develop new hearing technics and control their hearing loss. If you take consulting of your hearing specialist, your specialist can offer you the proper exercise program for your personal hearing loss. Every person out of ten has a hearing loss, this loss affect normal speaking and understanding. The most general reason of hearing loss is, being exposed to overloud sounds. In Turkey approximately 10 million people have a hearing loss. Hearing loss is the most common chronic health problem, that affects all age groups, all segments of the population and all socio-economical classes. Hearing loss affects every 17 people out of 1000, that are below 18 years old. These rates become higher with age. Every 314 people out of 1000 that are over 65 years old, have a hearing loss. Hearing loss may be congenital, besides that it may occur because of an illness, trauma or by being exposed to overloud sounds for a long time and long term medication. A hearing loss may vary from mild to profound levels. Hearing loss occurs when sound waves are not transmitted to the brain adequately. Sound waves may deform somewhere they pass from the moment they are gathered by the auricle, to the moment they are transmitted to the brain. What are the types of hearing losses? Sensorineural Hearing Loss: It is derived from the hair cells and nerve fibres deforming because of age, overloud sound, disease, injury, infection, trauma, toxic medicines or congenital causes and becoming unable to transmit the sound adequately to the brain. This is the most common type of hearing loss. Sensorineural Hearing Loss causes great problems with understanding. This type can't be cured by any kind of medical or surgical applications. The only proper solution will be using a hearing aid. This type of hearing loss occurs, when sound wave transmission to the inner ear is prevented. The problem occurs either at the outer ear or in the middle ear. This type occurs because of eardrum problems, excessive ear wax, objects that get into the ear, deformation of ear bones or otosclerosis. They might be cured with medical or surgical treatments. This type occurs when sensorineural and conductive hearing losses are present together. This type may be cured by medical or surgical treatments, otherwise the most proper way will be using a hearing aid. How can I understand whether I have a hearing loss? - Especially difficulty about understanding speech when there is background noise. - Unwanted noises like ringing in the ears. - Difficulty about hearing normal level TV or Radio sounds. - Exhaustion and discomfort because of the effort spent for proper hearing. - Vertigo and disorder of body balance. If you think you may have a hearing loss, contact your doctor immediately. Your doctor will direct you to an ENT doctor or a hearing specialist. An ENT doctor is a specialist about ear, nose and throat diseases, ENT doctor will observe the reason of your hearing loss. A hearing specialist will define your hearing loss, will measure it, will apply the necessary tests to detect your hearing loss type and degree. Can noise really affect my ears? Yes, noise can be dangerous for your ears. If the noise is loud enough and lasts too long, it can harm your hearing. A hearing loss caused by noise, is called neural loss. This kind of loss may be caused by other factors but the ones that are caused by noise has a difference, these losses can be reduced or prevented. Can my ears be cured? No, If you think that your ears are used to overloud noise, this situation has probably harmed your hearing already and there is no cure for that. Medical or Surgical treatments can't bring your hearing back if your ears are really harmed. But a hearing aid can make your life easier in this situation. How can I understand whether the sound is harmful? People have different levels of tolerance against noise. Generally, noisy environments where you need to shout to make yourself heard, the sounds that make your ear ache, the noise that makes your ear ring and the sounds that cause temporary deafness, harm your hearing. Sound can be measured by 2 methods: Intensity or the loudness of the sound may be measured in decibels (dB). Shrill sounds are measured as resonance frequency of the sound per second. Deep sounds (like the sound of a ??tuba??) vibrate less, while high sounds (like the sound of a violin) vibrates more. What is the relation between frequency and hearing loss? Frequency is measured as turnover or Hertz (Hz) per second. As much the sound is shrill, its frequency will be more. Generally, the children who haears best can distinguish the sounds between the lowest musical note of the organs in Churches that is 20 Hertz and the highest barking sound of a dog that is 20.000 Hertz. Human voice varies between 500-2000 Hertz and this voice seems very noisy compared to very low and high frequency sounds. When hearing loss occurs, high frequencies are lost at first. This explains why people with hearing loss has problems with the high frequency sounds of children and women. Is the exposing tim Hearing loss at the high frequencies causes deformation in the sound. Because of this, even though the sound is heard, these sounds become meaningless. Besides this people with hearing loss can't distinguish the words that are pronounced in the same way. Because these consonant letters have a higher frequency gap, compared with other consonant letters and vowel letters. The intensity of sound is measured as decibels (dB). This range varies from the lowest sound of 0 dB. That a person can hear, to the sound of a rocket launch that is 180 dB. dB. 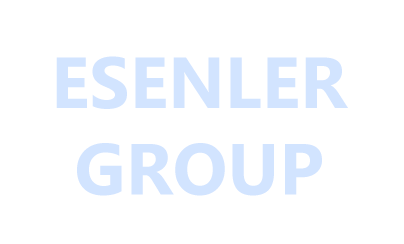 is a logarithmic unit of measurement. Every 10 units increase in dB. means 10 times more than the previous one. For example 20 dB as 10 times more than 10 dB., 30 dB. as 100 times more than 10 dB. How high can the dB. be until it affects my hearing? Many professionals agree that, exposed to the sounds over 85 dB is harmful. The level of harm it does? As much you are exposed to overloud noise, the harm will be more. Besides this, the more you are close to the source of the noise, the harm will be more, too. The sound of a gun can harm everyone around it. The bigger guns like Cannons are the most dangerous ones, because they make the highest noise. But if the explosion is close to you, even small guns can harm your hearing. If anybody who uses firearms doesn't use protection, they are under threat of hearing loss. Latest researches show that the rate of hearing loss among teenagers is increasing day by day. Listening to loud music with high volume and increase in the usage of earphones, especially with discmans and walkmans, may be considered as the reasons for this increase in the rates. If my hearing loss occured long time ago, how can I notice it? Hearing loss develops in years. Because it is slowly progressing and painless, it is hard to notice hearing loss. All you can notice is ringing in the ears and some other annoying sounds. This is caused by being exposed to noise that damages hearing nerves, for a long time. Or the person may have trouble with understanding speech. People's voices may seem like whispering, especially in noisy environments. This may be the beginning of high frequency hearing loss, and this can easily be detected by an audiological test. If there are at least one of the symptoms above, you may have a curable defect like; ear wax, infection, etc. But it can also be a noise related hearing loss, which is unfortunately not curable. Noise related hearing loss is permanent. If you have doubts, contact an ENT doctor immediately. An ENT doctor will detect the problem and inform you about the best treatment method. 2019 © Esenler Group. All rights reserved.